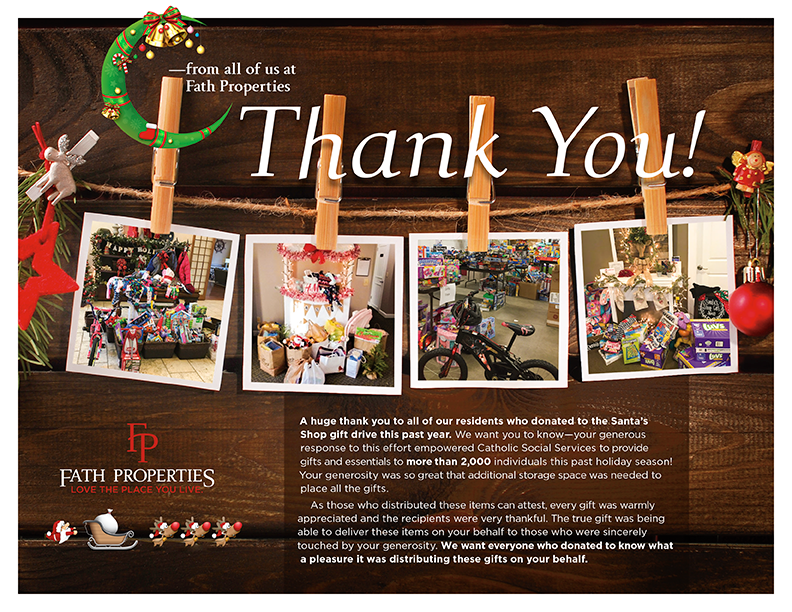 A huge thank you to all of our residents who donated to the St. Nick’s Shoppe gift drive this year. 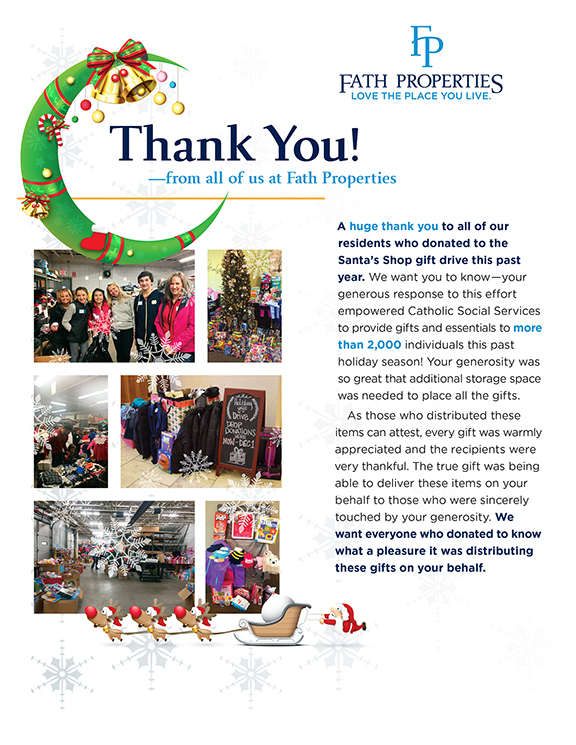 We want you to know—your generous response to this effort empowered Catholic Social Services to provide gifts and essentials to more than 500 families this holiday season! As those who distributed these items can attest, every gift was warmly appreciated and the recipients were very thankful. The true gift was being able to deliver these items on your behalf to those who were sincerely touched by your generosity. We want everyone who donated to know what a pleasure it was distributing these gifts on your behalf. Check our local news coverage here. 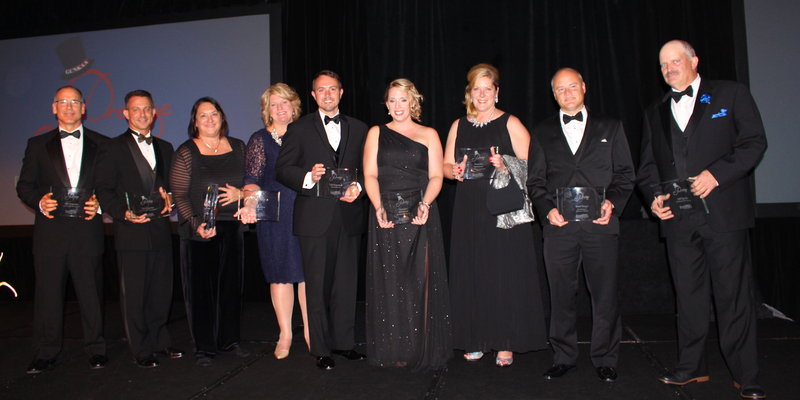 Fath Properties, its communities, and associates, were honored to receive eight awards along with several finalists at the 2015 Greater Cincinnati Northern Kentucky Apartment Association (GCNKAA) Prestige Awards. The Prestige Awards are held every five years and honor those in the apartment industry that excel in their business and set new standards. Pictured below: All Fath Properties associates at the GCNKAA Prestige Awards 2015. 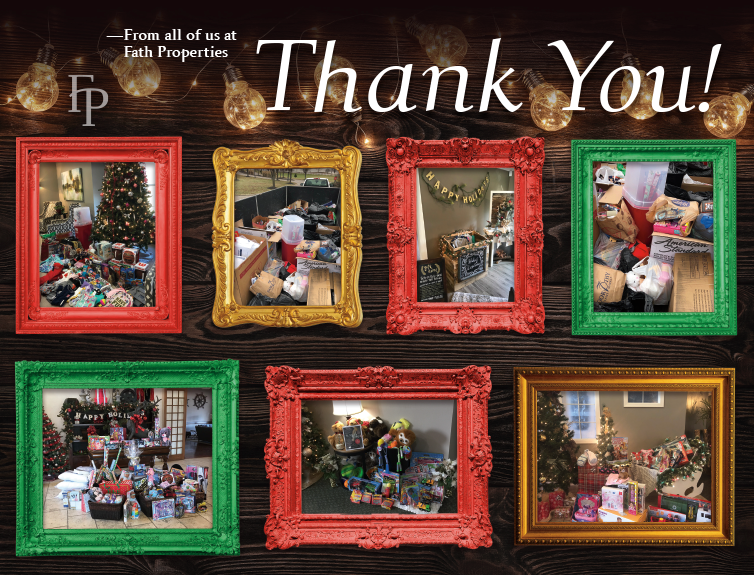 Pictured below: The award winners from Fath Properties.